I saw the in-progress sketch of this cover on Noree's blog and the final version looks great! The color scheme is classic and whoever did the drawing is fantastic! It looks so real, even though it's digital art. I love the contrast between the drawing and the very gritty photographic background. I've had the pleasure of reading this very nifty, fast-paced thriller already, and I think the cover fits the atmosphere of the book really well. I just can't tell what she's holding. Help? 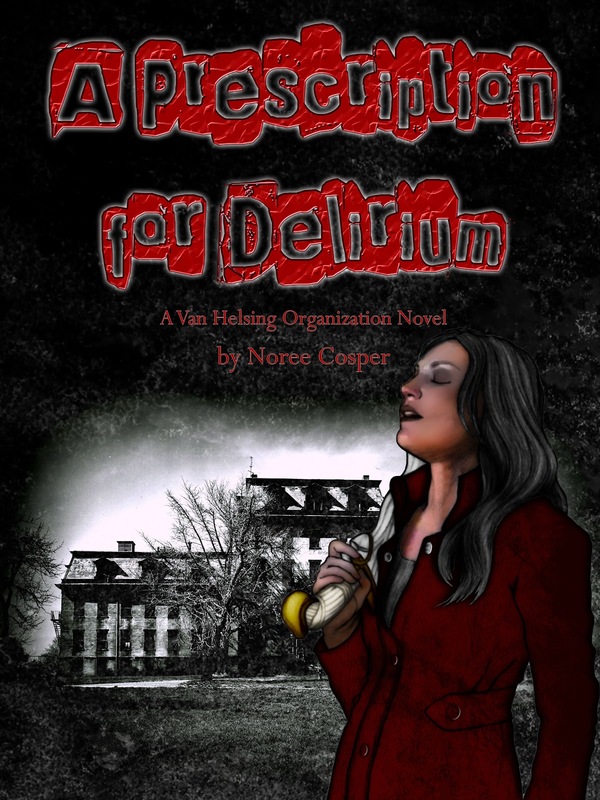 A Prescription for Delirium will be released on December 1st, 2012.